Sifu David A. Ross has spent close to three decades helping the public have a better understanding of real martial arts and helping thousands of individuals achieve their goals and live their dreams. Sign up for FREE videos, articles, discount codes, seminar info, & more! The first Lion’s Roar Martial Arts East Coast Camp, instructor training and certification seminar is coming to New York City. Weekly lessons introducing the complete martial arts curriculum. The Lion’s Roar martial arts system is a holistic approach stressing proper technique and progressive skill acquisition to offer both self defense and health benefits. Real people learn real technique and see real results. Stationary and moving technique, proper “body method”, power generation, tool development, heavy bag work and partner work are all be included in this program. The average weekly lesson is about 35 minutes worth of instruction, and includes key points and conceptual elements. There are PDF guides and frequently “bonus” material as well. The teachable.com platform offers a 100% guarantee. A new kind of martial arts podcast by author, educator, combat sports coach, and martial arts master Sifu David A Ross. The “Truth Project” and how it impacts our understanding of martial arts history, training and even the “business” of martial arts. New, full length podcasts each week plus “archives” and “random thoughts” added constantly. Click HERE to get started. Sifu David Ross has spent decades developing a holistic martial arts education, combining the best martial arts with his own, unique “pillars of truth” world view which has helped thousands of people to achieve their personal goals and live their dreams. The beauty of his vision is that it is NOT just for those who want to compete or be a champion; he has proven time and time again that REAL MARTIAL ARTS are for everyone and everyone benefits. People travel from across the country to train with Sifu Ross when he offers his seminars. In fact, they’ve come from other countries just to learn his secrets. They pay TOP DOLLAR for that training. He is in such high demand, he can’t even do private sessions anymore. Close to four decades of martial arts training under some of the world’s best instructors. 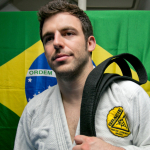 A holder of advanced black belts and instructor rankings in several martial arts systems. An adopted disciple of the late master Chan Tai-San, one of China’s national treasures. Close to three decades teaching and coaching, both champion fighters and regular people who just want to achieve their goals. 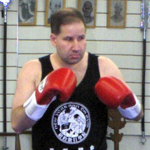 The trainer of three world champions, twenty national champions, and many regional and local title holders in several forms of combat sports. A graduate of Elliott School of International Affairs with a graduate degree in Chinese history and a published author with over fifty internationally published articles and currently two book titles. Owner and head instructor of New York San Da, one of the most successful martial arts schools in the country. 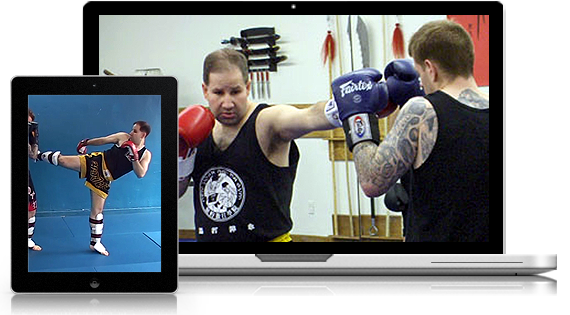 Get Instant Access to Free Videos, Articles, Discount Codes & Seminar Info from Sifu Ross NOW! I still get emails everyday asking me questions, literally begging me to help them out. I started feeling a little bad about it, really. So I started San Da Training Systems and began creating educational materials like my DVDs and my books. I got the first DVD, and loved it. Got a lot out of it that I didn’t know. In my opinion this is the perfect cross training for a Brazilian Jiu Jitsu guy. It is integrated kickboxing and wrestling and the DVD shows an integration of strikes from the beginning both in closing the distance and in the clinch. Everything in here is high percentage and solid. You can buy DVDs from Randy or Tito or Vitor. However, the problem is they aren’t integrated. They are either pure wrestling or clinching or boxing. They don’t cover the actual transitions as a science. This DVD does. Just have to say a big “well done” to Coach Ross for producing such an excellent range of coaching products. It’s very rare that an instructional DVD provides everything I was hoping for with it, but these certainly have. It’s really great to see quality bread and butter drills, and techniques to be discussed in context and with various outcomes. Perhaps the real genius of the thing though is that although there were many things that weren’t completely new to me, they were without exception better explained and mechanically somewhat better. The sheer quantity of material covered (no 40 minute running time here folks) makes them exceptionally good value, and I make no hesitation in wholeheartedly recommending them to anyone who spars competitively or who teaches students to. Coach Ross presented a lot of great info. This might have been the best spent $40 in my entire Martial Art training. I gotta say, I really like the way you use CMA examples when you are talking about different techniques, like when you reference the Hsing-I shoulder drills comparing them to wrestling clinch countering drills, the use of fajing and short power to open up the clinch, etc… Good stuff. Great stuff! Really good production, too–I especially liked how you reversed nearly everything so it could be seen from both sides on video. The concepts are good stuff. I was really impressed. He is really a good teacher. 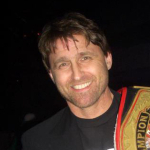 I’ve been involved in wrestling/Boxing/Kickboxing on and on for more than 25 years and I must say he knows his stuff. I was most impressed by his “credo” of training for all things, as far as, kickboxing, boxing, clinching and grappling. This is almost like a MMA stand up instructional focused on the clinch range, but includes striking defense and an awareness of grappling. I did learn a couple new drills, that’s saying a lot since I have a library of clinch resources.